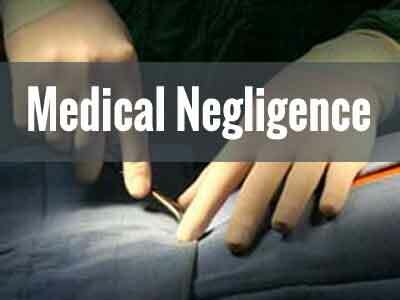 Mumbai: In a medical negligence case pending before the Maharashtra State Human Rights commission, the commission is reported to have pronounced its judgement after two years, holfing the doctor guilty of negligence. The Commission, in its judgement has ordered the state government to pay a compensation of Rs 5 lakhs to the patient, while also directing the Maharashtra Medical Council (MMC) to suspend or cancel the licence of the surgeon Dr Mannan Singh. Indian Express reports about the case of a 32 year old farmer who had come to the Yashwant Rao Chavan Hospital, Pune with complaints of Varicose Veins. In September 2015 he was operated for the said disease. During the surgery, it was alleged that the operating surgeon ( the registrar at the Surgery Departnement) damaged the femoral artery in the right leg that carries blood supply to lower limb. The artery damage led to excessive bleeding forcing Dengde to undergo amputation. “I was given two days to decide about amputation. The doctors said I can lose my life because my leg had turned black and infection could spread,” Dengde told Indian Express. Why Human Rights Commission…. The victim must have filed case in Consumer commission instead. he could have slapped hard the negligent doc for huge compensation worth millions.. HRC has its limitations in awarding compensation…. As senior teacher myself, feel sad on dwindling medical education due to excessive political zeal and interference where merit is disregarded over quakes… Most hospital teaching in medical institutions is substandard due to ill conceived planning of teaching, research and medical care. Sad but a reality that only our lawmakers can help by keeping away from interference and judicious planning under prioper medical meritorious ppl. Do u have any idea of vascular surgery specialty programmes in India??? Kindly enlighten us here 4 all 2 know??? Do u have any idea of availability of a vascular surgeon??? V don\’t have a good general surgeon. These varicose veins are a cup of general surgery and it shows d teaching standards in India. Yes, there are vascular surgeon available in India. I know one expert in Mumbai , His name is Dr. Simit Vora, Mobile- 98192 02762.